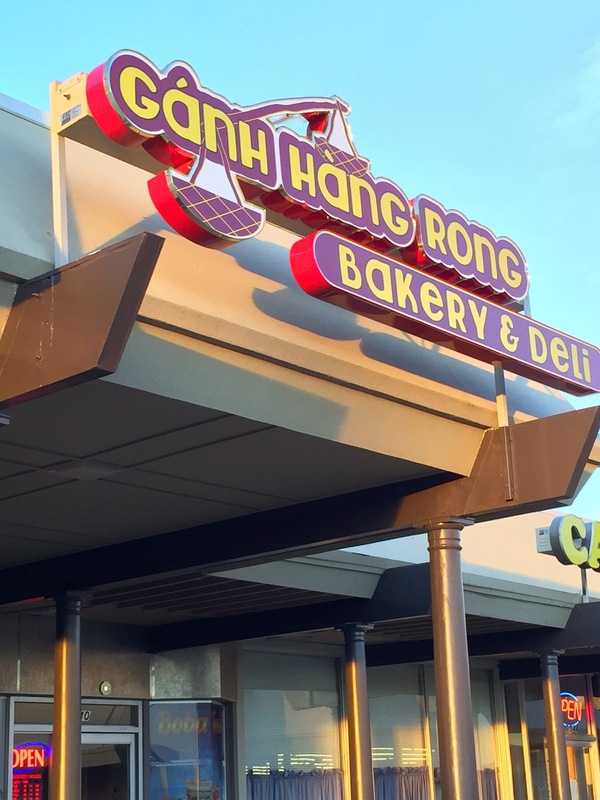 Gánh Háng Rong Bakery and Deli Review (CLOSED) – Wichita By E.B. Update: They are now closed. Growing up one of the common staples we would eat for lunch at home were Bánh Mis. A Bánh Mi is technically a Vietnamese term for bread but here in United States, more popularly known as Vietnamese sandwiches or subs. For whatever reason, I just wasn’t a big fan of a Bánh Mi but other family members and friends were. When it came down to it, I simply wasn’t a big fan of sandwiches and subs. In recent years, I’ve slowly started to eat it more probably because I don’t have it put in front of me all the time as I did when I was a kid. A little over a year ago, a Bánh Mi restaurant opened up at Central and Woodlawn at the northeast corner called Bánh Mi Ngon Bakery and Deli. I would occasionally stop by there for lunch and the times I did, I recall it being pretty delicious. Not sure if it closed down, was taken over by new ownership or what but I noticed the name of the restaurant changed and I’ve been meaning to go back to try it out…..and so I did…….eventually. I bring you all Gánh Háng Rong Bakery and Deli. 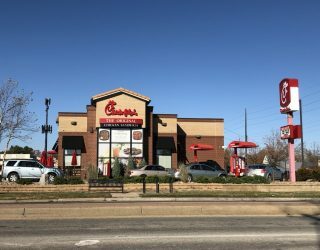 They are located at 6540 East Central Avenue at the northeast corner of the Central and Woodlawn intersection. They are tucked in the back corner of the strip center there just a bit west of the Planet Fitness building. They have an assortment of Bánh Mi sandwiches, pastries, and drinks made in house. They are a small little building with a cozy feel to it with leather couches to eat at, cushioned seats and bar stools. My first attempt to go there they were closed unknowingly. When I stopped by, there was a sign apologizing for being closed due to some technical issue. My second attempt to go there, the “new” restaurant no longer accepted credit cards so I had to go elsewhere. My third attempt to go there, I was heading home and saw they were opened. I got in there 10 minutes before they were closed and told they couldn’t serve me since they were closing. Being a former server, I hated when people came in right before close but would also serve them. I was a bit put off by this but let it go. My fourth attempt was finally my chance to try it. Going in, I noticed their menu was simply a few piece of bent up paper on a clipboard. I decided to go with the Thit Nuong Bánh Mi and some spring rolls. My total ended up being $7.24 which isn’t too bad (good thing I had cash on me). It took around ten minutes for my Bánh Mi and spring rolls to be done and I was headed home to give this new restaurant a try. Upon getting home and taking the food out of the bag, I noticed my spring rolls were extremely cold. It looked as though the spring rolls were made well in advance in kept in the fridge all day long. The sauce that came with the spring rolls was close to being a solid instead of a sauce due to the temperature. Actually trying the spring rolls was about the same level of satisfaction. Cold spring rolls are not good. Second attempt was the Bánh Mi. First bite in and I was pretty sure I knew what the verdict was going to be. The bread was pretty hard and there wasn’t much filling inside. By the end of the meal, I was left craving something else. After all the attempts it took to try Gánh Háng Rong Bakery and Deli out, I was left with a disappointed feeling. My search for a really good Bánh Mi continues. I’m always open to suggestions.